Welcome to the Door Outlet Center! Since 2008, we have been servicing the Houston metropolitan area with beautiful entry, side, and back doors. Our 2,500 sqf store is located on the Northwest side of the city, close to the intersection of US290 and Beltway 8. We offer a variety of doors including wood, fiberglass, and steel, featuring the same doors found in many name brand stores, and top suppliers. 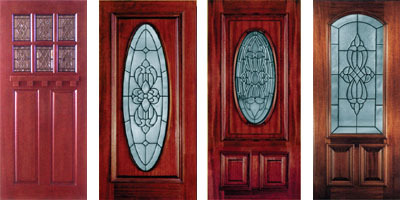 Our Primary products are Mahogany doors with many different designs, glass sizes, and finishes. We also provide with out in-house custom finish to satisfy our customers' preference. We have a showroom and warehouse on the northwest side of Houston, and invite our customers to come see our products and work in person. Directions, contact information, and hours of operation are at the bottom of this page. We service the entire United States, and can ship to any state!